This week is going by both so slowly and so quickly! It’s quite odd. A big week at that–new iPhone5 delivery tomorrow (!! ), corn maze with the nieces, waiting to hear back on a job offer for Ktams, and on top of it all we might as well throw in an impromptu trip up to Seattle! Lucky for you I have just enough time to schedule posts through the weekend so that you don’t go hungry. I believe that I’ve also finally got the whole Blogger picture limit figured out (fingers crossed), and that means more pictures for you! Unfortunately, it did not occur to me to take pictures of the following recipe until it was done…sorry. This was a very enjoyable recipe though! 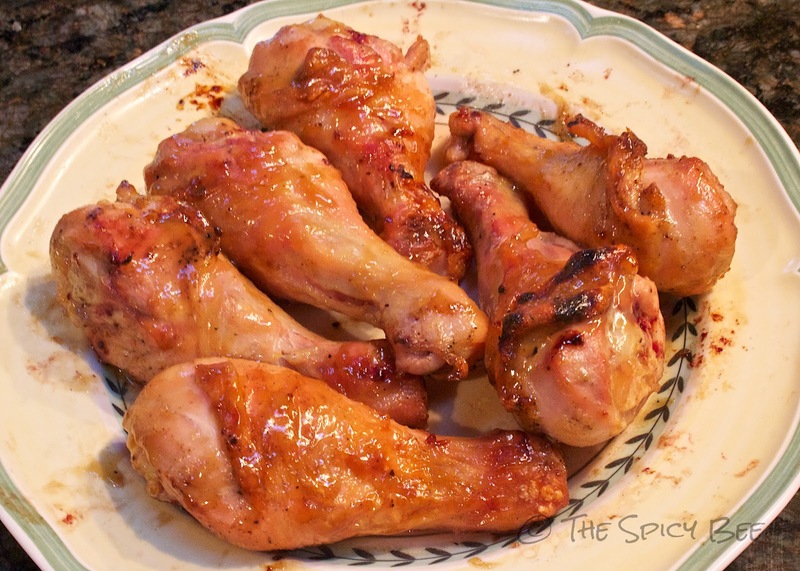 Accompanied with a homemade honey mustard sauce, these chicken drumsticks are a great grab when on sale and you could even change things up and do wings instead. Get the recipe after the jump. Melt the butter over low heat, and then add the honey and dijon mustard. Whisk until warmed and well mixed. Do not let boil! Meanwhile, toss the drumsticks in olive oil, salt, and pepper before grilling. Grill for 5 minutes per side direct, then 5 minutes indirect, basting with the honey mustard on the top side each time you flip them. The olive oil helps seal in the juices and prevents the drumsticks from sticking to the grill. The honey mustard caramelizes during cooking. Serve this dish with extra honey mustard on the side for dipping! Recipe serves 4. Mmmm, this looks yummy!! I’m super jealous of your Seattle trip! Been trying to get up there. Have tons of fun! Yummy… I love BBQ. What would you suggest for having it stick better to the meat? On Your Mark, Get (Goals) Set, GO!